Living Future unConference is an annual event that attracts disruptive design leaders. Join a cross-industry collaborative network that is creating a healthy built environment. Living Future unConference is the forum for leading minds in the green building movement to make strides toward a healthy future for all. This year, we will focus on the layers of Genius and Courage during unconventional sessions and dynamic speaking engagements with top-notch keynotes. We’ll open the unConference with Van Jones, a civil rights leader, former Obama White House advisor and CNN political correspondent. Celebrate 11 years of innovation and partake in the out-of-the-ordinary experience that is the essence of the unConference. Van Jones is a civil rights leader, former Obama White House advisor, and CNN political correspondent. He is the Founder and President of Dream Corps — an incubator, platform and home for world-changing initiatives that empower the most vulnerable in our society. The Dream Corps three programs,#cut50, #YesWeCode, and Green For All, work to close prison doors and open doors of opportunity. A Yale-educated attorney, Van has written two New York Times bestsellers: The Green Collar Economy, the definitive book on green jobs, and Rebuild the Dream, a roadmap for progressives. Naomi Klein is an award-winning journalist, syndicated columnist and author of the international bestsellers, No Logo, The Shock Doctrine, and most recently This Changes Everything: Capitalism vs the Climate (2014) which is being translated into over 25 languages. This Changes Everything, the documentary inspired by the book and narrated by Naomi premiered at the Toronto International Film Festival. In 2017 she joined The Intercept as Senior Correspondent. Recent articles have also appeared in The Guardian, The Nation, The New York Times, the New Yorker, Le Monde, The London Review of Books. Kirsti Luke is Chief Executive of Tūhoe Te Uru Taumatua, Ngāi Tūhoe’s Tribal Authority. She holds a Bachelor of Law (LLB), is extremely knowledgeable about the tribe’s treaty claims, and was involved in the establishment of Te Uru Taumatua. Her goal is to build the organization and the tribe’s economy and improve descendants’ quality of life. Her role includes recruiting management staff, building relationships with stakeholders and government agencies, developing policies to improve or coordinate options for housing, health and employment for Tūhoe and providing business recommendations to build up the tribe’s economy. Browse the full LF17 program here. The International Living Future Institute is an environmental NGO committed to catalyzing the transformation toward communities that are socially just, culturally rich and ecologically restorative. Composed of leading green building experts and thought-leaders, the Institute is premised on the belief that providing a compelling vision for the future is a fundamental requirement for reconciling humanity’s relationship with the natural world. Place and Community. The LF unConference. After one year, I’m back, this time in Seattle, at the Living Future unconference 2015. As always, eager to learn, to exchange views with the participants, to listen to the keynote speakers and best–practices, togo through the Living Building Challenge. The time for “Do less harm” has passed. It’s time for the beginning of being; the beginning of a Living Future. LF 2015 takes place on April 1-3, 2015, at the Sheraton Seattle, Seattle (WA) and explores a genuine sense of place and community as the bellwether of truly restorative design. The International Living Future Institute is hosting its ninth annual unConference. Living Future is the forum for leading minds in the green building movement seeking solutions to the most daunting global issues of our time. Out-of-the-ordinary learning and networking formats provide innovative design strategies, cutting-edge technical information and the inspiration needed to achieve significant progress toward a truly Living Future. Janine Benyus is a biologist, innovation consultant, and author of six books, including Biomimicry: Innovation Inspired by Nature. In Biomimicry, she names an emerging discipline that emulates nature’s designs and processes (e.g., solar cells that mimic leaves) to create a healthier, more sustainable planet. In 2010, Janine founded Biomimicry 3.8 which provides biomimicry innovation consulting, training for professionals, and curricula development for educators. Raised between Brooklyn and rural Upstate NY, Ibrahim Abdul-Matin appreciated environment and sustainability at an early age. His father, a devout Muslim, taught 5-year-old Ibrahim that the “Earth is a mosque”. Ibrahim retells this moving story in his Amazon Environmental Bestseller, “Green Deen: What Islam Teaches About Protecting the Planet,” a one-of-a-kind expose of the positive contributions of people of faith to the environmental and environmental justice movements. Jason F. McLennan is considered one of the most influential individuals in the green building movement today and the recipient of the prestigious Buckminster Fuller Prize. McLennan serves as the CEO of the International Living Future Institute, a leading NGO that focuses on the transformation to a world that is socially just, culturally rich and ecologically restorative. McLennan is the founder and creator of the Living Building Challenge, widely considered the world’s most progressive and stringent green building program. The Living Building Challenge™ is the built environment’s most rigorous performance standard. It calls for the creation of building projects at all scales that operate as cleanly, beautifully and efficiently as nature’s architecture. To be certified under the Challenge, projects must meet a series of ambitious performance requirements over a minimum of 12 months of continuous occupancy. What is an unConference? An unconference is a participant-driven meeting. Unconferences typically feature open discussions rather than having a single speaker at the front of the room giving a talk, although any format is permitted. This form of conference is particularly useful when the attendees generally have a high level of expertise or knowledge in the field the conference convenes to discuss. The 2014 Living Future unConference. 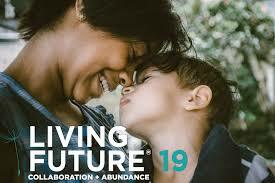 So excited to be at the 2014 Living Future unConference, in Portland, Oregon ! Humans are nature. We do not live in straight lines. We are infinitely varied and constantly changing. Truly resilient and regenerative design recognizes this unbounded human experience. It feeds our souls along with our bodies. It leaves space for imaginations to soar, even as it shelters us from the wind and rain. We will only redefine our relationship to the resources we rely upon if we lead with love that truly profound beauty inspires. At Living Future 2014 we are exploring how beauty and inspiration can transform our movement and ourselves. 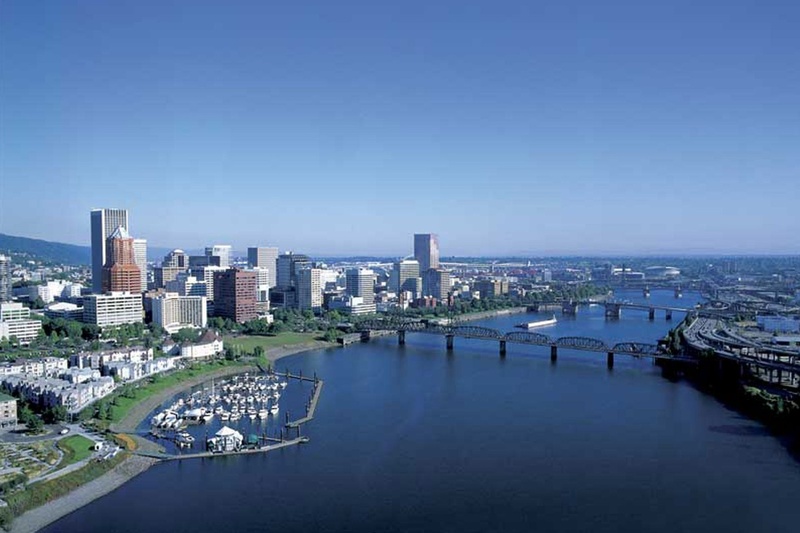 The International Living Future Institute is hosting its eighth annual unConference, Living Future 2014, on May 21 – 23, 2014 at the Hilton Portland & Executive Tower in downtown Portland, Oregon. Living Future is the forum for leading minds in the green building movement seeking solutions to the most daunting global issues of our time. Out-of-the-ordinary learning and networking formats provide innovative design strategies, cutting-edge technical information, and the inspiration needed to achieve significant progress toward a truly living future. LF 2014 will explore beauty and inspiration by convening creative minds from the realms of art, music, science, architecture, engineering and design. This diversity of perspective facilitiates a level of dialogue and discovery rarely found at building industry conferences. Focused on providing proven, practical, ambitious and visionary strategies that address whole earth impacts, a diverse collection of inspiring keynote and plenary speakers will surely keep the positive energy flowing throughout Living Future: Maya Lin / Artist, Maya Lin Studio, Jason F. McLennan / CEO, International Living Future Institute, Jay Harman / Naturalist and Author. The Living Building ChallengeTM is the built environment’s most rigorous performance standard. It calls for the creation of building projects at all scales that operate as cleanly, beautifully and efficiently as nature’s architecture. To be certified under the Challenge, projects must meet a series of ambitious performance requirements, including net zero energy, waste and water, over a minimum of 12 months of continuous occupancy. Projects can achieve three types of certification. Full Certification, Petal Recognition or Net Zero Energy Building Certification. The Living Building Challenge project certification process for projects pursuing Full Certification or Petal Recognition (NZEB Certification follows a slightly different process) is intentionally straightforward, while still fostering an environment of support and collaboration. A project’s path from inspired vision to inspirational achievement consists of three steps: Registration, Documentation + Operation and Audit + Certification. The Living Building Challenge is composed of seven performance areas, or ‘Petals’: Site, Water, Energy, Health, Materials, Equity and Beauty. Petals are subdivided into a total of twenty Imperatives, each of which focuses on a specific sphere of influence. Certification fees are tiered based on project square meters and are paid prior to audit.­ Alternatively, projects pursuing Full Certification can elect a two-part certification process, through which Imperatives unrelated to project performance can be audited prior to the 12-month operational phase. One example of a Living Building Challenge certified project is the Bullitt Center, in Seattle, the greenest commercial building in the world. It is the first commercial office building to pursue the LBC and it is setting new precedents for environmental performance in urban in-fill development. The project is the outcome of years of work by a team that includes the Bullitt Foundation, Point32, Miller Hull Partnership and others. Completed in fall 2012, the building’s rooftop solar array will generate as much electricity as occupants use in a year, collect and treat its wastewater onsite. It will also treat rainwater for showers and irrigation, and once approved by regulators, for drinking too.